Stretch marks appear when you lose or gain weight rapidly. Even though they are a common occurrence during and after pregnancy, there are many other reasons they can appear. Genetics or health conditions like thyroid or PCOS(D) can cause them too. Stretch marks typically show up around the hips, arms, tummy, and thighs. Though they are not a cause for concern health-wise, you can use some products that can reduce them. There are some stretch mark reduction creams out there that have a considerable effect on them, and they also make your skin supple and soft. We have rounded up them up here, so check them out! If you are looking for that one product that can be used as a massage, leave-in, and moisturizing agent, your search ends here. 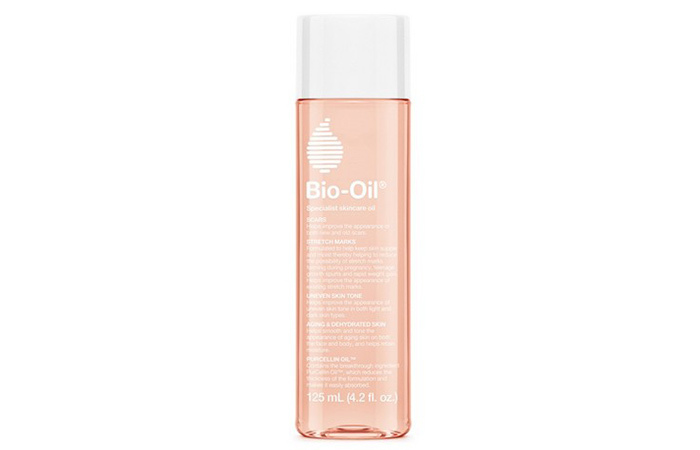 Women swear by Bio-Oil because it does loads of things like reducing stretch marks and wrinkles, evening out the skin tone, offering sun protection, and nourishing your skin. It is a lightweight formula with a faint but pleasant smell. 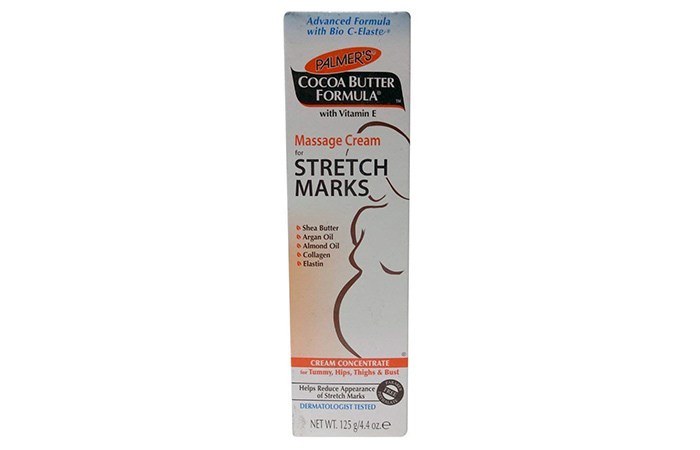 Google stretch mark creams and one of the first products that come up is the Palmer’s Cocoa Butter formula. It works on all kinds of skin issues apart from stretch marks, like discoloration, dullness, and dryness. It nourishes and improves the overall quality of your skin. It should have a permanent place on your bathroom shelf. 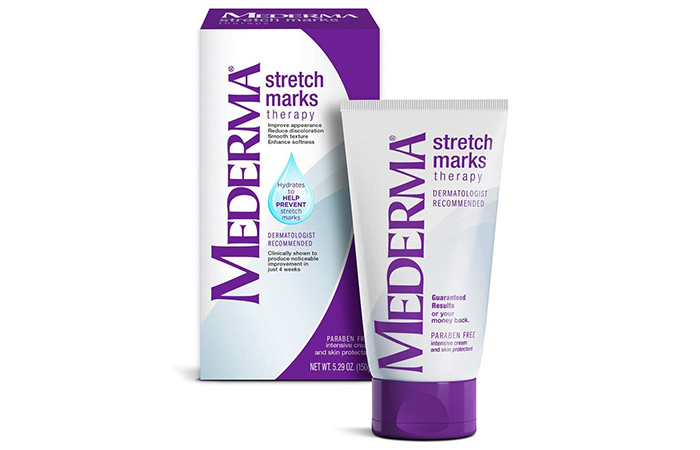 Mederma Stretch Marks Therapy is one of the most sought-after stretch mark creams, and it is known for giving amazing results. This thick but readily absorbing lotion hydrates your skin and diminishes those stubborn stretch marks in no time. 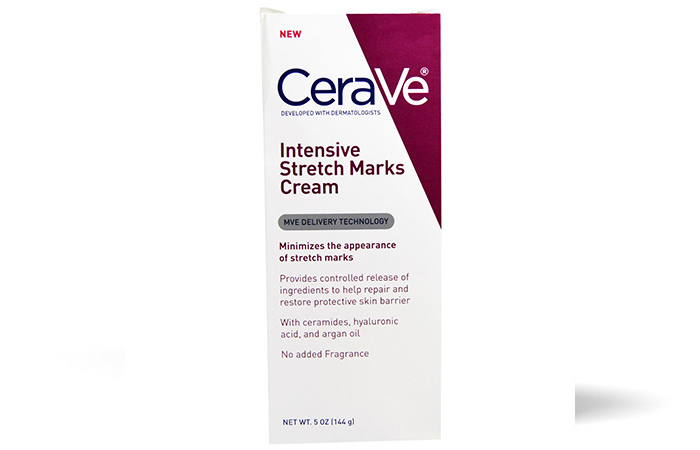 A stretch marks removal cream that doubles up as a preventive cream is here! 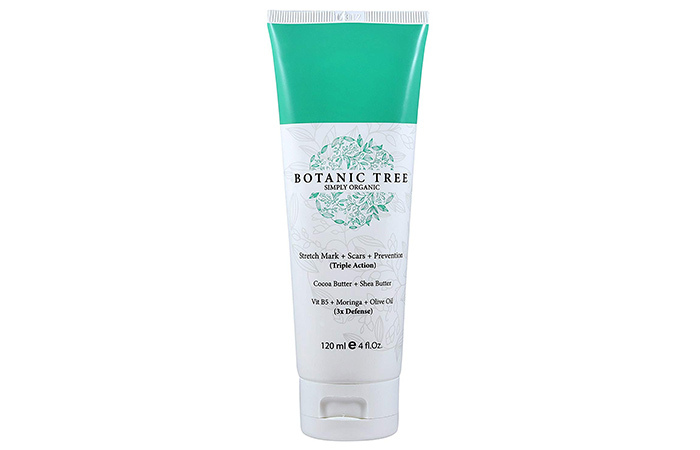 Botanic Tree’s stretch mark removal cream is an enriching formula that contains high-quality ingredients like cocoa butter, shea butter, vitamin E, moringa, and avocado with a unique plant extract called Centella asiatica that not only reduces the appearance of stretch marks but also prevent new ones from forming. Use it consistently, and you will see a remarkable improvement in no time. 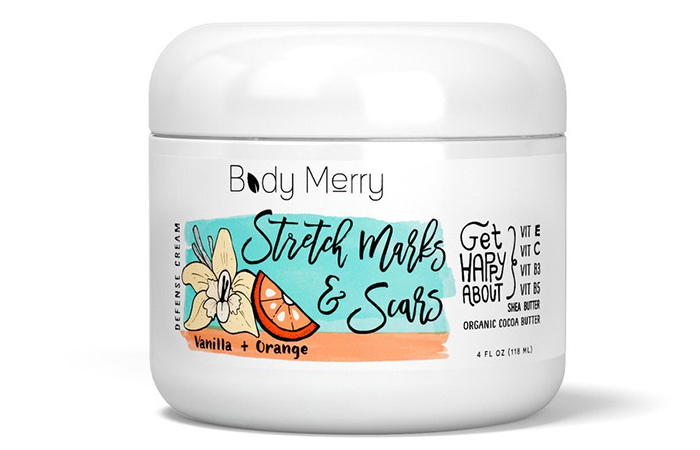 Body Merry Stretch Marks And Scars Defense Cream is a blend of cocoa butter (for hydration), shea butter (for nourishment), and other essential fatty acids, plant-based oils, and vitamins that improve your skin’s elasticity, reduce the appearance of stretch marks, and soothe your skin. CeraVe is a chemical-free formula that contains potent ingredients like argan oil, hyaluronic acid, and ceramides that act like fillers to plump up your skin and smoothen it out. Argan oil is also known for being one of the best skin fortifying oils, so it works on reducing stretch marks, scars, and discoloration. 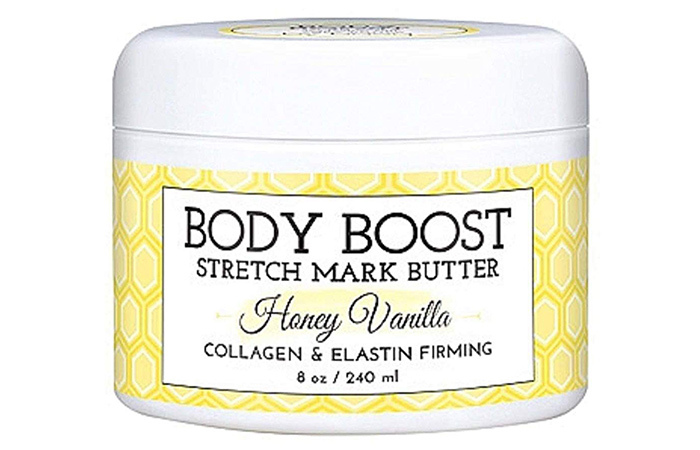 Body Boost Stretch Mark Butter contains collagen and elastin, i.e., the proteins that our skin tends to lose, which causes stretch marks in the first place. It also contains a plant-based ingredient called Gotu Kola that strengthens the connective tissue in your skin, tightening it and reducing the appearance of stretch marks and scars. It also contains other ingredients like rosehip, grapeseed, jojoba, and borage oils that nourish your skin. A good stretch marks cream will first smoothen out your scars and marks before reducing them. 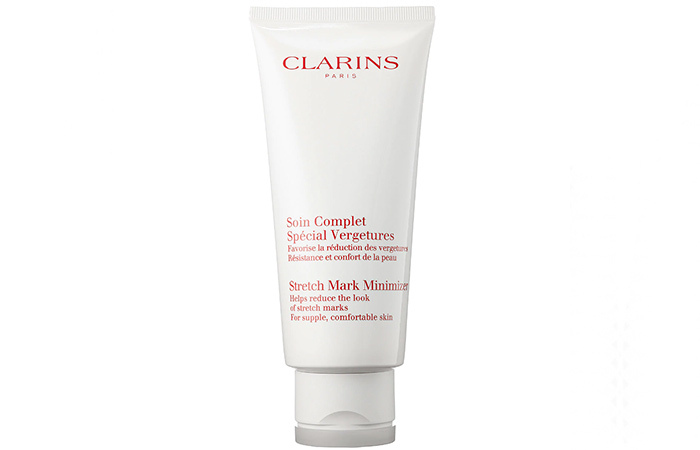 Clarins Stretch Mark Minimizer works exactly like that. Its formula is effective and works on all kinds of marks. 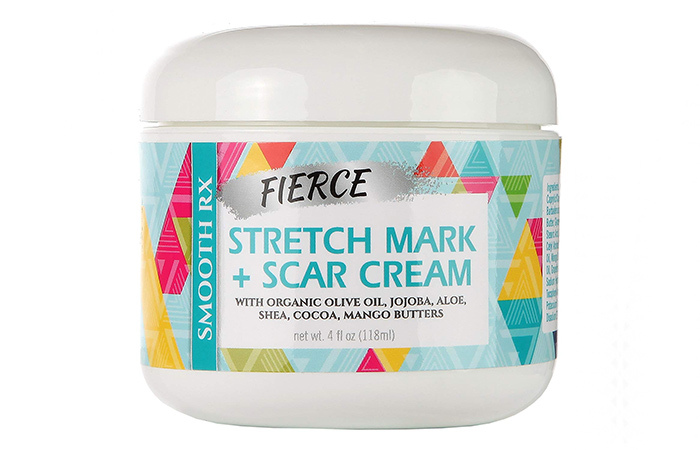 Whether it is scars or stretch marks you are trying to battle, Smooth RX Fierce Cream is the Rescue Ranger you need. It repairs the damaged skin tissues and fortifies your skin from deep within to reduce stretch marks. It also makes your skin more radiant. 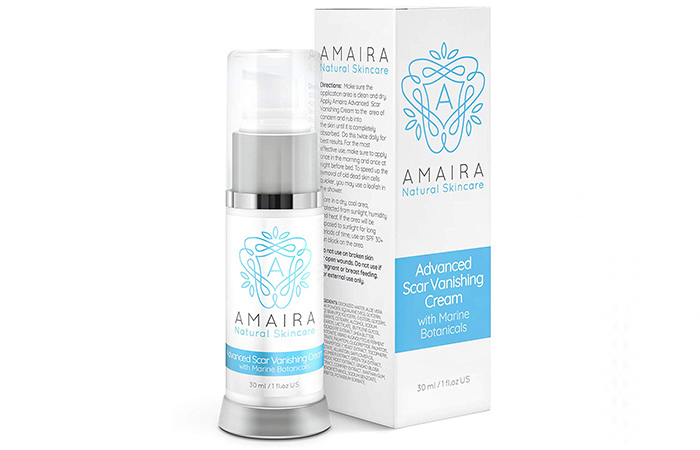 Smoothen out scars, marks, acne scars, and discoloration with this scar vanishing cream by Amaira. This plant-based cream is formulated with ingredients like avocado, B-glucan, and shea butter that fortify and repair damaged skin to eventually restore its natural glow. It is lightweight, gets easily absorbed, and suits all skin types. Besides using stretch mark creams, keep your skin nourished and hydrated, especially if you are starting to put on or lose weight. Did we miss out on a product that you think needs to be on this list? Let us know by dropping a message in the comments section below.